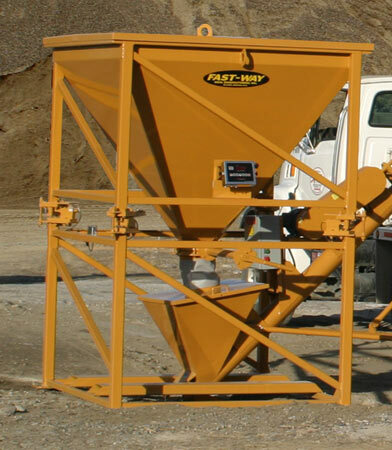 Fast-Way portable cement super sacker makes a compact job site installation with only a small footprint. As experienced batch plant manufacturers, we have designed a machine that is reliable and efficient. It is ready to go to work in just minutes. We strive to make the setup as cost-efficient as possible, and a crane is not required. The individual scale system implanted in the Fast-Way portable cement super sacker, enables the operator to produce an accurate batch each and every time—thanks to our knowledgable batch plant manufacturers. Please feel free to contact us with any questions you have about our portable cement super sacker. Our experienced staff will happily explain the benefits of this exceptional machine. Shipping Volume: 369 cu. ft.